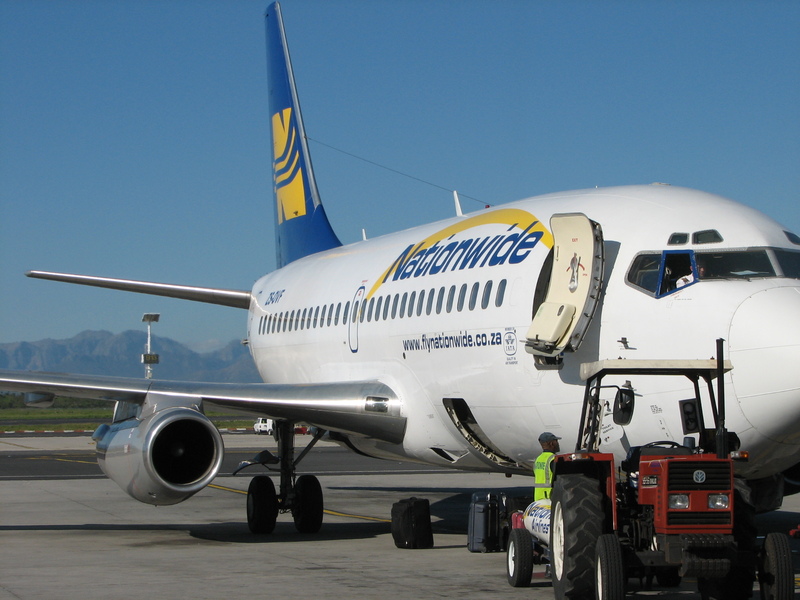 Nationwide may not be the first airline which springs to mind when one thinks of cheap flights in South Africa, but facts speak louder than words - survey after survey we've conducted have shown that Nationwide airlines is the king of the cheap in the South African airline industry. In our latest survey of flights from Cape Town to Durban, Nationwide flight 609 leaving Cape Town at 1630 is by far the cheapest at R649 (with so much scope to increase prices, Nationwide have done themselves in a bit by not lifting their prices higher). At the start of this year Nationwide abolished free meals in its economy class section, thereby joining South Africa's league of low cost carriers. 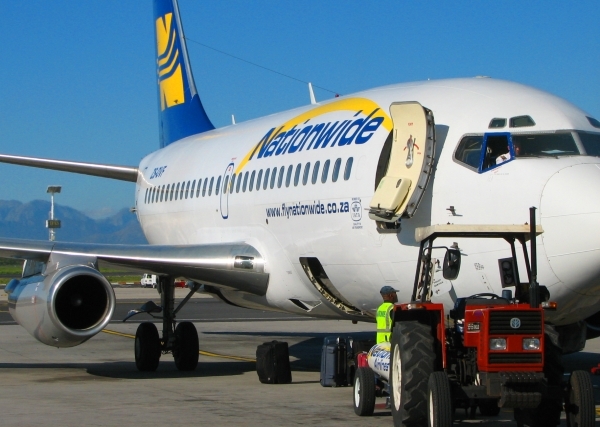 The move proved significant - over the year, Nationwide has been a vital force of competitive pricing pressure in the South African airline industry. South Africa would be significantly worse off without Nationwide airline - in the last 10 flight surveys we've carried out, they've been cheapest in 6 of them. We have previously written about SAA & Mango airline's abusive staff - an SAA crew member verbally abused fellow SAA staff on flight SA061 from Lagos to Johannesburg; and had to be sedated. Now an SAA staff member was arrested when her flight from Johannesburg to Cape Town landed at Cape Town International - she's been stealing cellphones. What's French for Deja Vu? News from the Rugby World Cup 2007 …France to meet England in the first semi-final, Argentina to meet South Africa in the other semi-final, and the All Blacks meet the Wallabies at the airport. In honour of the rugby world cup 2007 in France, and all the drama it has brought to us, we've upgraded our information on flights from Paris to Johannesburg, to include the flight path. Sometimes when you lose you actually win. New Zealand are hosting the Rugby World Cup 2011. Losing the Rugby World Cup 2007 has left some of the keanest travelling rugby nations battling it out for the Cup (the big travelling rugby nations are South Africa, England & France), which will spark interest in the fans into going to see Rugby World Cup 2011 - economically speaking, hosting a Rugby World Cup is a much bigger prize than winning one (not that I think that there's many people in New Zealand who get it). The added bonus for New Zealand is that unlike in France, fans will stay in New Zealand - they wont be flitting in and out for a weekend. Argentians are also a potential market, but there being no direct flights between Argentina and New Zealand doesn't make it easy for them. Rugby tourists in Australia, New Zealand and South Africa better start checking for flights to Apia, Buenos Aires, Nuku'alofa and Suva. With the performance of Argentina, Fiji, Samoa and Tonga in Rugby World Cup 2007 there is a strong case for them being included in the regional tournaments (and hopefully this will also stop New Zealand and Australia from poaching their best players). It is astonishing that New Zealand and South Africa have never played a rugby test in any of Fiji, Tonga or Samoa (and Australia not for a long time either). After she's got home (flight from Cape Town to Johannesburg, Johannesburg to Amsterdam, Amsterdam to Minneapolis), an American PhD student writes about her experiences in South Africa..."South Africans really really like Roxette"..."Driving in the pouring rain and crazy traffic of Joburg is not for the faint of heart. However, people are equally nuts in Atlanta and LA"..."There are numerous and catastrophic traffic accidents"
Not all Americans have a lot to say - these three Americans don't write much, but happily they share loads of photos of their trip in and around Cape Town. While we are on the American theme, Delta airlines have announced plans for three weekly flights from New York to Cape Town, from June 2008 (just in time for the whale season). Thanks to one of our regular readers (George Flights!!!) for this info. An American guy falls in love with a South African girl. She visits him in the US and falls pregnant, leaves after her tourist visa expires and is denied return entry because she is pregnant. 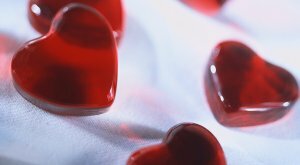 Father will be in SA for the birth, and is wondering on what is the best visa route for getting her back to America. Any lawyers out there who can help? Click here. After two weeks of being more expensive than easyJet, now BA is cheapest from London to Paris (flying at least, of course the National Express coash with its 2 hour wait at Dover is almost always the cheapest option overall). KLM (Royal Dutch Airlines) have announced their October 2007 flight offers from the UK. In life things don't always go to plan (just ask the All Blacks), and especially so in the aeroplane construction industry. 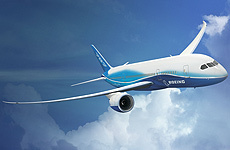 In what is possibly the best news Airbus has had all year, Boeing has announced a 6 month delay in the delivery of its 787 dreamliner (there's a shortage of aluminium fasteners). This will especially hurt All Nippon Airways (due for the first 787 delivery) which was planning to market itself with the new planes during the Beijing Olympics. It'll also widen an already gaping US trade deficit. The good news for the French was beating the All Blacks, the even better news was the delayed delivery of the 787, and the greatest news is that on the 25th October the gigantic Airbus A380 will take its maiden commercial flight, in the colours of Singapore International Airlines. "O'Leary had become increasingly unhappy about Aer Rianta's charges at Dublin (airport). His solution was simple: build a new terminal at Dublin, attached to the same runway but with different management and lower charges. Competition, which had breathed life and lower prices into the airline industry, should logically be extended to airports. If airports had more than one terminal operated by rival companies then the terminals would compete on price and service for the airlines' business, rather than charging take-it-or-leave-it-monopoly rates." Michael O'Leary saying it as it is in his biography by Alan Ruddock, "A Life in Full Flight: The story of the man who made Ryanair take off".